UPDATE 12.30PM: THE ex-partner of missing Warwick woman Gail Lynch has appeared in Tooowoomba Magistrates Court today where he was formally charged with her murder. 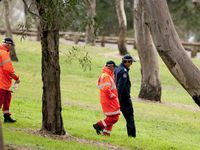 Hannaford was taken into police custody on Thursday night after being found in a toilet block in Toowoomba's Picnic Point Park. He appeared briefly in court this morning where the charge was read, and he was remanded in custody to appear in court for further mention on October 29. It is understood Hannaford is refusing to cooperate with police in relation to the investigation into Ms Lynch's disappearance. 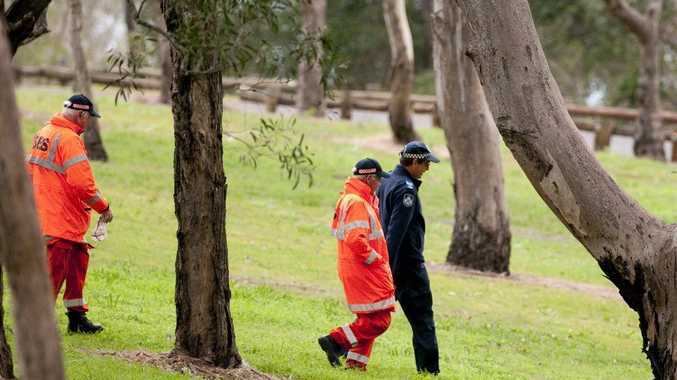 Hannaford reportedly hid from police in bushland at Picnic Point Park in Toowoomba and police believe he may have been there since July 11, when they last spoke with him. A security guard discovered an injured, semi-conscious Hannaford in a toilet block in the park about 8.30pm on Thursday. Detective Inspector Darrin Shadlow said police found a makeshift campsite under a concrete lookout without any blankets and with only a few food scraps. "We believe he has been there for some days, with evidence of foodstuffs there but little else," Det Insp Shadlow said. 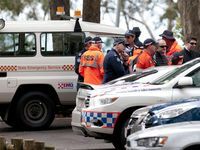 Hannaford was taken to Toowoomba Base Hospital that night to be treated for dehydration and exposure and was released into police custody yesterday afternoon, only to be met with a set of handcuffs and a murder charge. 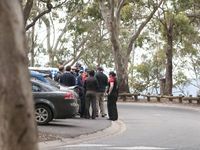 Police and search crews scoured the Picnic Point Park area in search of Gail Lynch's body or any other clues that could indicate her whereabouts. Ms Lynch's son Simon Hutchison said news of Hannaford's discovery had come as a relief. His 55-year-old mother has not been seen since she disappeared from her Guy St unit in Warwick on July 3. Mr Hutchinson said he and other family had worked tirelessly to keep information circulating about his missing mother. "It feels like our hard work has paid off," he said. Hannaford, a disability pensioner and former spray-painter, and Ms Lynch met on an internet dating website but their relationship ended some months ago. 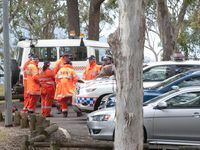 On Thursday police and State Emergency Service crews concentrated their search of the Condamine River west of Warwick in the Toolburra district. The investigation into Ms Lynch's disappearance was declared a homicide case last week, with more than 30 detectives working on it. Police are still appealing for information regarding a red rug with a gold trim which was reported missing from Ms Lynch's apartment. The whereabouts of Ms Lynch's body was still unknown at the time of print deadline last night. Hannaford is scheduled to appear for a brief mention in Toowoomba Magistrates Court today. If you have any information that could assist police with their investigation phone Crime Stoppers on 1800 333 000 or Warwick Police on 4660 4444. - Gail Lynch was last spoken to by family. - Ian Hannaford's blue Ford Falcon believed to have been in Warwick. - Gail Lynch officially reported missing. - Police spoke with Ian Hannaford. - Police carried out search warrant on his house and seized his car. - Searches around the Condamine River, Warwick. - Construction site next to Gail Lynch's unit closed down for the day so police could search the skip bins. - Water police searched the river with divers and Sonar equipment. - Police revealed a red rug was missing from Gail Lynch's apartment. - Police tried to re-contact Ian Hannaford, but he was nowhere to be found. - The case became a suspected murder and police appealed for information as to Ian Hannaford's whereabouts. 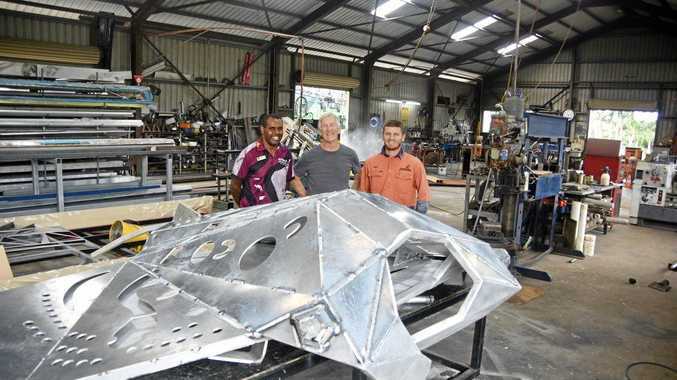 - Search around John Dee and towards Toolburra commenced. - Ian Hannaford found at Picnic Point Park, 8.30pm. - Ian Hannaford charged with murder. Gail's whereabouts still unknown. - Ian Hannaford scheduled to front Toowoomba Magistrates Court.